New York City is home to five boroughs: Manhattan, The Bronx, Queens, Brooklyn, and Staten Island. Each borough has a personality of its own, and pizza is no exception. There’s a lot of pizza in New York City. Pizza might as well be New York City’s official dish. 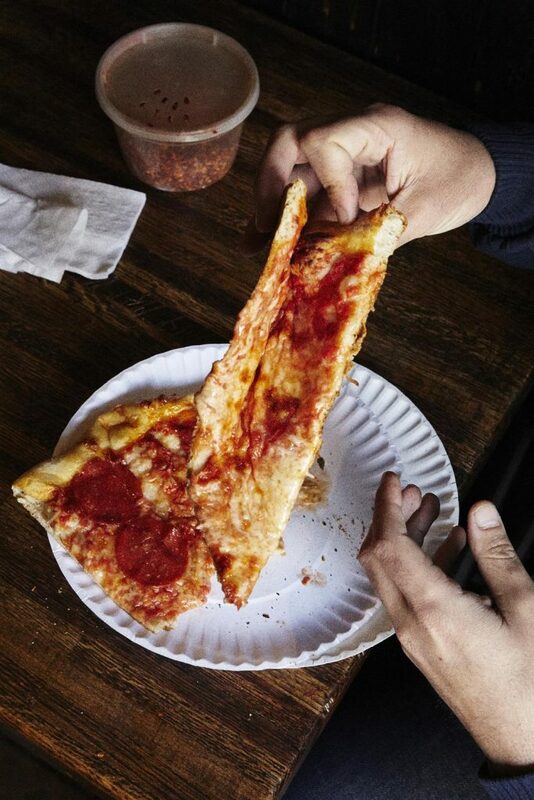 Nothing is more New York than the pizza slice because even when it’s bad, it’s still pretty good! The people here at Deputy collected, researched and sought out the best pizzas from each borough in New York City. When people talk about the best New York pizza, they’re really talking about one borough: Brooklyn. The pizza in Brooklyn is more than your cheap-pizza dollar slices – this is some of the best pizza in America, made with time-honored techniques, fresh ingredients and plenty of attitude. Brooklyn is also famous for having the type of pizza that you have to fold to eat. In fact, it is a given that any slice you get must be folded so that you do not lose any of the great taste. 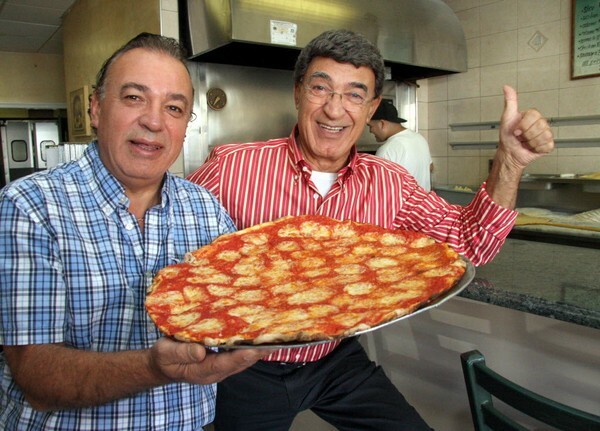 Over 50 years ago, in 1965, Italian immigrant Domenico DeMarco opened Di Fara Pizza in the Midwood section of Brooklyn. 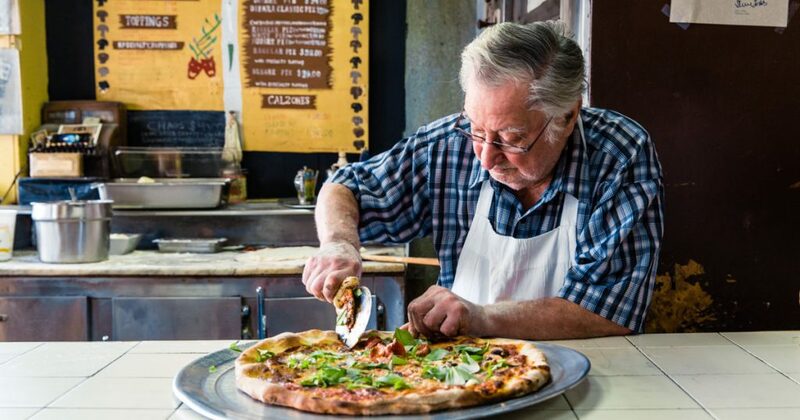 DeMarco and his family-run pizzeria have been praised by critics and clients, from Bourdain to de Blasio and customers queue, for a taste of what they are told is the best of the best. The shop and the pizza itself has gone unchanged after all these years. The pizza recipe, the exact ingredients (he sources almost everything from Italy) and the process is the same as it was several decades ago. Watch him at work as you wait (in a very long line) for your slice. Bronxites love their pizza. This borough is quite large and very residential and lacks widespread public transportation. Ruben Diaz, Jr. (the Bronx Borough President) would argue that the city’s best pizza can be found in the Bronx. There might be some disagreement about the best place in the Bronx to get a pie, but here’s our top pick. When you think of authentic Italian food, you think of Zero Otto Nove. Chef Roberto Paciullo brought a part of Salerno, Italy to the streets of New York City, Arthur Avenue and Westchester County. Italian for “089,” Italy’s country code, Zero Otto Nove is the next best thing. 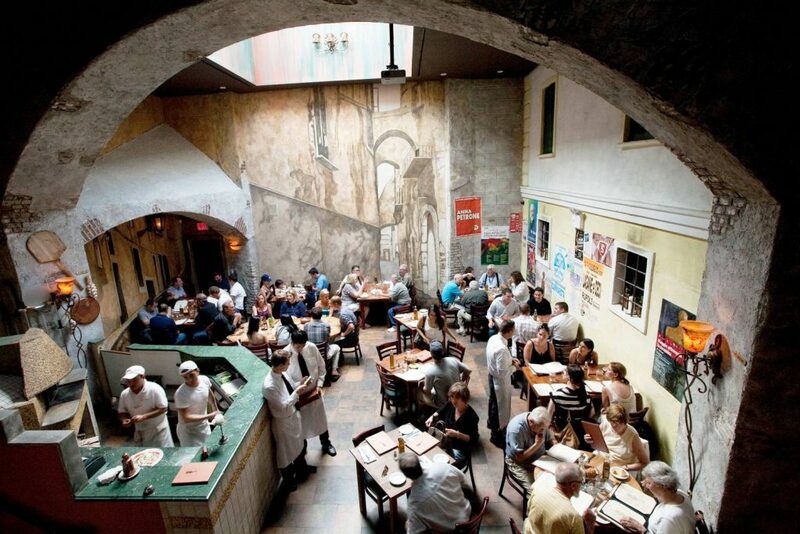 This restaurant is a cozy trattoria with a full menu. 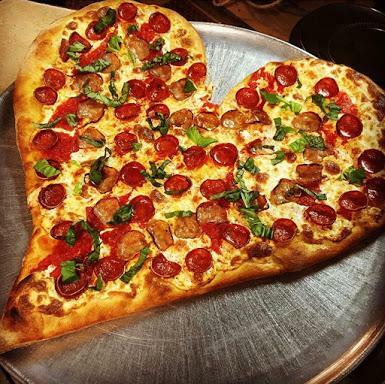 But (you guessed it) it’s the pizza you really want. Their pizzas are creative with toppings like butternut squash puree, cream of truffle, mushrooms & fresh mozzarella. Manhattan is not the biggest borough, but it has it all. From skyscrapers and fancy dining, to apartment buildings and local bodegas. 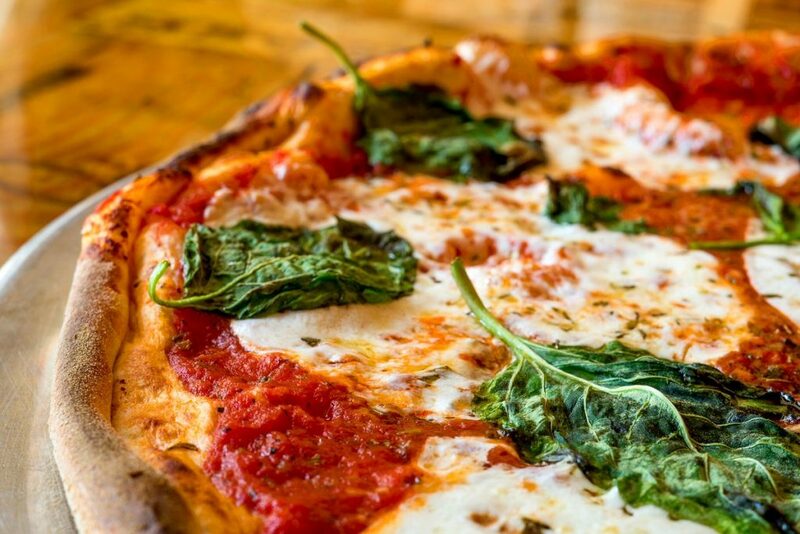 Whether you’re looking for a quick slice after a night out, or looking for a traditionally-made Neapolitan pie, Manhattan has an endless array of pizza options. Take a look at our top pick, and see if it’s up your alley. 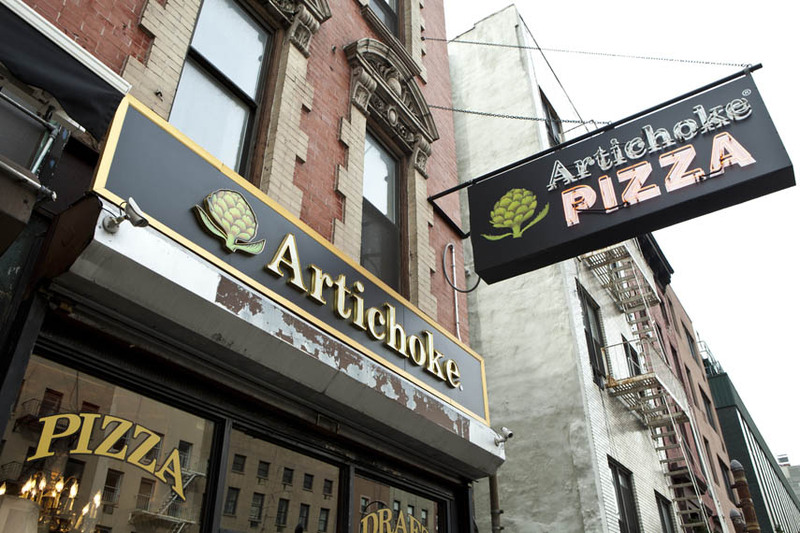 Artichoke opened to rave reviews in early 2008 and pizza lovers throughout the city have been flocking there ever since. 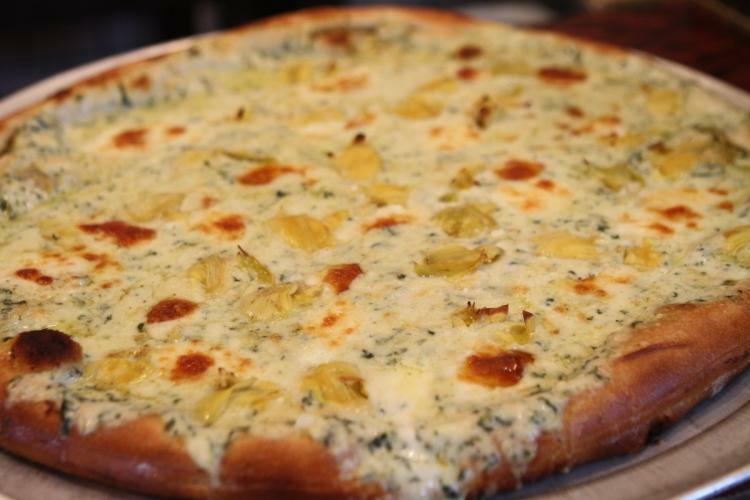 Artichoke Basille’s is best known for its artichoke slice, a creamy blend of sautéed artichoke hearts, garlic and spinach that’s almost like a party dip on a pizza. Yes, they have other creations (like vodka penne and crab) but the artichoke reigns supreme. The slices aren’t exactly cheap, and expect to be standing outside eating it, but it’s a well-worth-it experience. Queens is the easternmost and largest in area of the five boroughs of New York City. It has a population of almost 2.5 million residents, half of whom are foreign-born. Queens County itself is one of the top five most densely populated counties as in the United States. With that being said, the food is just as cultured as the population! 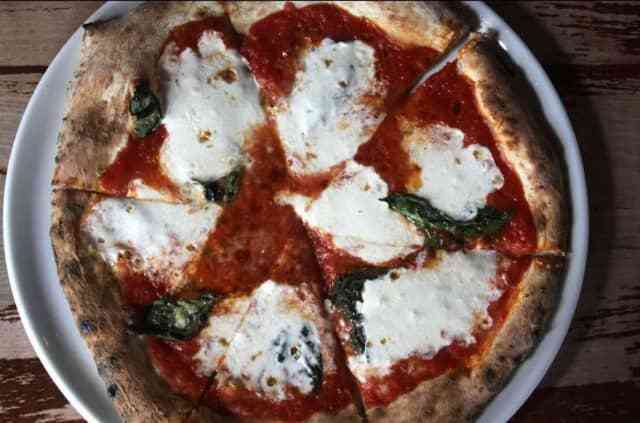 Grab a slice at our top pizza pick in Queens. 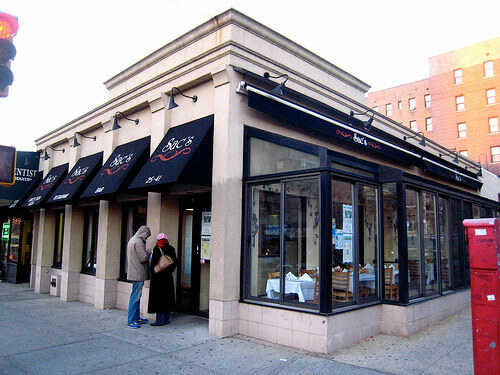 When residents of Astoria, Queens are faced with the decision of grabbing a quick slice or sitting down for a nice Italian meal, Sac’s Place is the answer to both. Sac’s Place is owned and ran by the Sacramone brothers, Domenico and Anthony. The no-frills grab-and-go restaurant offers up high quality coal fired pizza by the slice. The brothers installed the coal oven in 1999, and all the pizzas are cooked in it. Staten Island’s nickname is the Borough of Parks, but it ought to be the Borough of Pizza. This borough and its residents have a long lineage of Italian immigrant roots. In fact, more than one-third of the population are of Italian ancestry. Staten Island has some incredible authentic Italian restaurants and naturally, some of the best pizza in New York City. Check out our top pick. Joe & Pat’s is the king of Staten Island pizza. Open since 1960, it doesn’t look like much, but the pizza is magnificent. 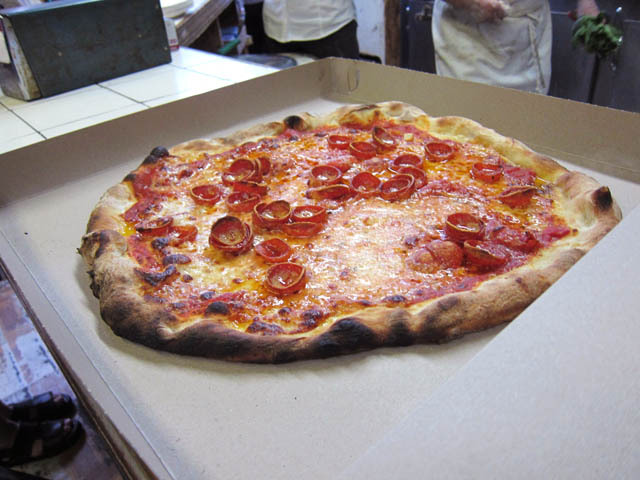 Their pizza pies are the ultimate version of one of the borough’s dominant styles: thin-crust, vodka-sauced bar pie. Joe doesn’t let anyone take pictures behind the counter, because he wants to keep his thin crust recipe a secret. Do you own or know the best pizza shop in New York City? Reach out to us and we’ll add you to the list! Every restaurant is different. Whether you are running a 5-star restaurant or a New York pizza shop Deputy can be molded to suit your needs. Deputy is much more than just a restaurant employee scheduling tool, it can be used to manage your entire workforce and will save your restaurant time and money. Also, when scheduling your employees is simplified and clear, your staff is happier. You have more time to work on administrative and management tasks. And your customers are satisfied when your staff meets their needs. Sign up for a free 30-day trial today here. The post The best pizza in New York City by borough appeared first on Deputy.